The inner critic is everywhere! But that won’t stop us, no! Recently I had the pleasure of teaching at the Antioch Writers’ Workshop‘s Dive Into Your Story: Where do you get your ideas?. We dealt with the inner critic and how to renegotiate the relationship, moving aside the noise so we can get to getting ideas, and writing. You who read this blog know I write & think about the inner critic all the time, so it was very fun to share those practices (inspired by Gayle Brandeis, Lynda Barry, Bonni Goldberg, Amy Cuddy, and others) with the humans at the workshop. After the workshop, I got an email from one of the participants, Fredrick Marion. I’m always thrilled when the inner critic takes visual form, gets post office box, and becomes capable of receiving a Dear Inner Critic letter. Kudos to the writers who make that happen. Here’s Fredrick’s letter…Enjoy! p.s. You might also want to subscribe to Fredrick’s awesome newsletter. p.p.s. To engage with your inner critic, here’s a place to start. 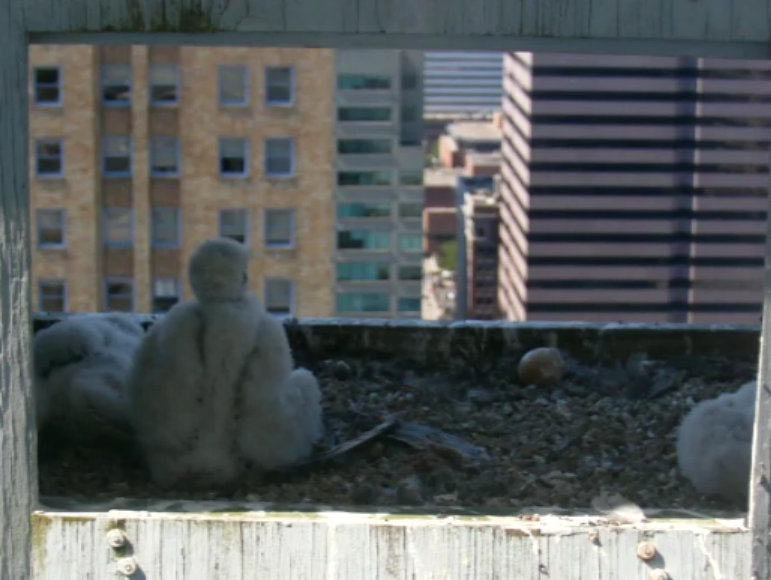 Do peregrine falcon babies experience self-doubt? I got an email from a writer friend who is working on a complicated memoir. She is stuck in the process. In her email, she described the self-doubt that crept in after witnessing a commercial agent dispensing what I consider toxic advice at a workshop. When another writer at the workshop described her own work-in-progress to the agent, because the described work falls outside the expected form for a self-help book, the agent said it was a bad idea and it would never sell. To repeat: The agent said it was a bad idea and it would never sell. DISBELIEVE WHAT THAT AGENT SAID! WHATEVER MESHUGAS THE AGENT SAID, WRITE THE AGENT’S WORDS ON A PIECE OF PAPER AND THEN BURN IT!!!!!! KISS THAT ADVICE GOODBYE! That agent only has experience with commercial, old school, traditional publishing, and there is room for SO MUCH MORE in the world of writing. That agent doesn’t know everything! NO ONE knows everything! I’m coming to understand that self-doubt is our fuel. Self-doubt keeps us honest and also helps us do the work. A paradox, because self-doubt can also cripple the writer. Many writers (more seasoned and articulate than I am) write about the plague of self-doubt. My advice (which I give freely to myself, yet have a hard time taking) is to acknowledge the self-doubt, realize that it’s part of the process, whether you’re writing work based on your direct experiences, or creating fictional worlds. Tie it up in a bundle, give it a name, and then laugh at it. Let it be your fuel. Trudge through the snowstorm of self-doubt, and do the work (she tells herself). Give a hoot, read a book! Last Saturday, at the Antioch Writers’ Workshop seminar, Paths to Publication, my understanding about the revolution in publishing deepened. The thread through the day showed how the conversation has shifted: even those in traditional publishing now acknowledge (rather gracefully) that self-publishing is no longer simply what we used to know as vanity publishing and that there are about a thousand smart and thoughtful ways to do whatever a writer wants to do. This kind of event—involving agents, editors, and people who help others self-publish—would not have been as collegial and open even a couple years ago. It might have been because the people in the room were generous and respectful of each other, but I also think it has to do with the changing marketplace, and with the idea of literary citizenship. Presenter Cathy Day teaches a course in literary citizenship at Ball State University. 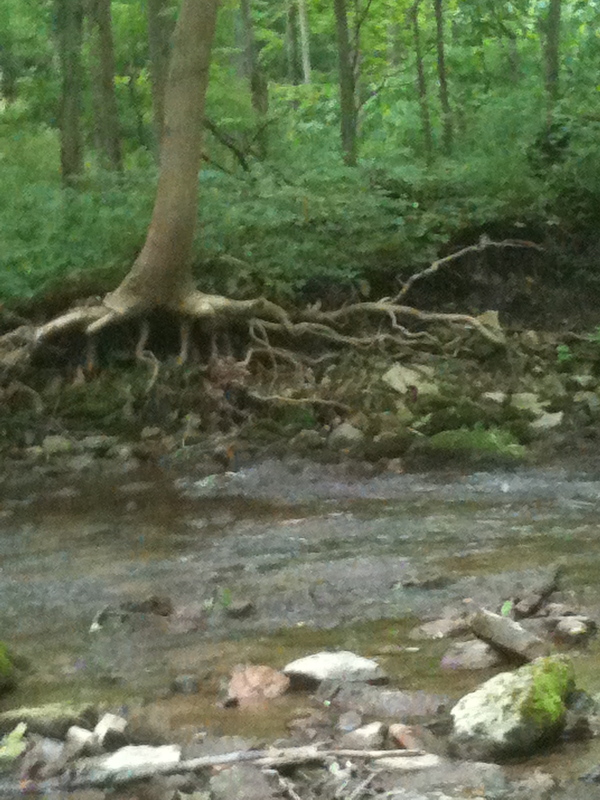 Day encountered the term on Dinty W. Moore’s post at Brevity. Though I’ve been thinking about literary citizenship for a while, and doing my part when I make time for it, the conversation on Saturday opened up how I had been thinking about the quest for a publisher. And beyond that, opened up how I had been thinking about what it is to be part of a literary community, to walk in the landscape of creative writing. Literary citizenship seems a bit like taking care of the planet. 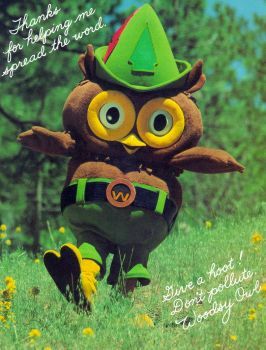 But it goes beyond a literary version of Woodsy Owl’s “Give a hoot, don’t pollute!” It’s not just avoiding throwing a beer can out of your car window, and it goes beyond picking up the cigarette butts you see on the sidewalk. It’s composting, and taking the humus to the community garden. Earnest literary citizenship is a deeper way to care for the environment of books and words, and it is not self-serving, unless we think of maintaining the environment of books as a good thing in itself, and good for us humans (which it is). It’s giving thought (beyond our own writing) to what we give to the world, what we leave behind for future generations of readers…and it’s really about sustaining and contributing to a community. I’m grateful for all the presenters at Saturday’s AWW publishing seminar for a wonderful day: Jeff Herman, Deborah Herman, Kirby Gann, David Braughler, Steve Saus, and Cathy Day. As often happens at AWW events, early in the day, a sort of narrative thread emerged: Do your work, connect with others, practice the good form of nurturing books and supporting the community of writers, read the small print, you can do anything. Make something happen. And finally after a long, oppressive winter, it’s spring. Isn’t there a better word? I don’t particularly like the term “networking” unless you’re talking about computer cables and fiber optics. When talking about meeting, working with, and being real with other real humans, “networking” sounds mechanical and shallow. But whatever we call it, connecting with others who care about the written word makes me feel like I’ve just woken from a great night’s sleep, brain rested, abundant sunshine in the forecast. I spent last week at the Antioch Writers Workshop, among writers, editors, teachers, and readers who care about the nerdy things I care about, like near-perfect metaphors, mining memory, and squashing clichés. Midweek, that thing happened when time feels like it’s accelerating, and I realized the workshop would be over soon. I got really sad, because I want to spend more time among people who concern themselves with words, sentences, images. I’ve known, worked with, and adored various writers for a while now, many of whom prop me up when I’m drooping. Many are my beloved people. And last week, I met and mingled with others who, I hope, will expand this constellation. I am trying to convince myself that sending thank you notes is not on a continuum with stalking, and that if I received a handmade card from another writer, I would be glad.